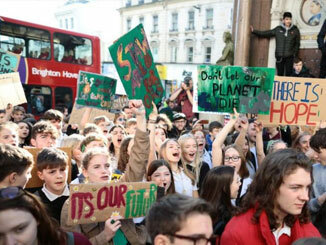 On Friday 15 February 2019, tens of thousands of school students from more than 60 towns and cities across Britain took part in the Youth Strike 4 Climate as part of a global day of action demanding action to stop climate change. The biggest protests in Britain took place in London, Brighton, Oxford and Exeter. 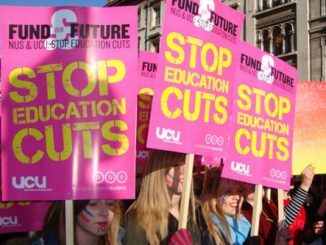 The following article by Fiona Edwards, on the left’s defeat this year in the National Union of Students, was initially published here by Student Broad Left. In April 2017 the left wing of the National Union of Students (NUS) lost the Presidency, having held the post for one year. 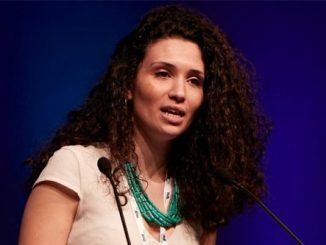 Malia Bouattia was defeated in her bid for re-election and the NUS right wing have retaken the top officer position in NUS, alongside a majority on the leadership team. 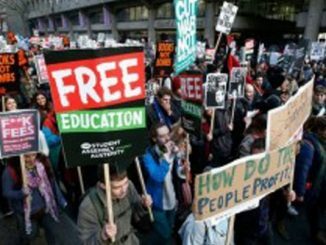 The following article by Fiona Edwards and Aaron Kiely, reporting on the recent left advance in the National Union of Students, was originally published by Student Broad Left. Last week’s NUS National Conference was historic. Malia Boauttia was elected NUS President – the first Black woman and the first Muslim to win this position in NUS’ 94 year history. It was also the first time since 1969 that an incumbent President lost their re-election. 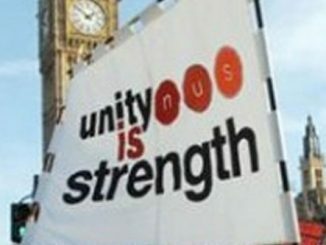 This year’s NUS Conference (21 – 23 April) for the first time in decades saw the left win the majority of the NUS leadership positions, a majority of the NUS Executive and strengthened support for the policy of free education. The following article, by Aaron Kiely (NUS NEC) and Fiona Edwards (Student Broad Left Secretary), reporting on the Conference was originally published by Student Broad Left. 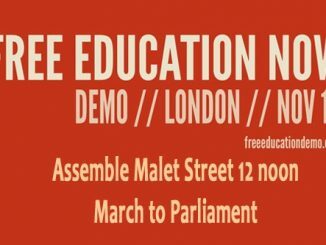 All out for the 19 Novemeber Free Education Demo! NUS National Conference 2014, which took place 8-10 April, saw major advances for the left, marking a turning point for the student movement.